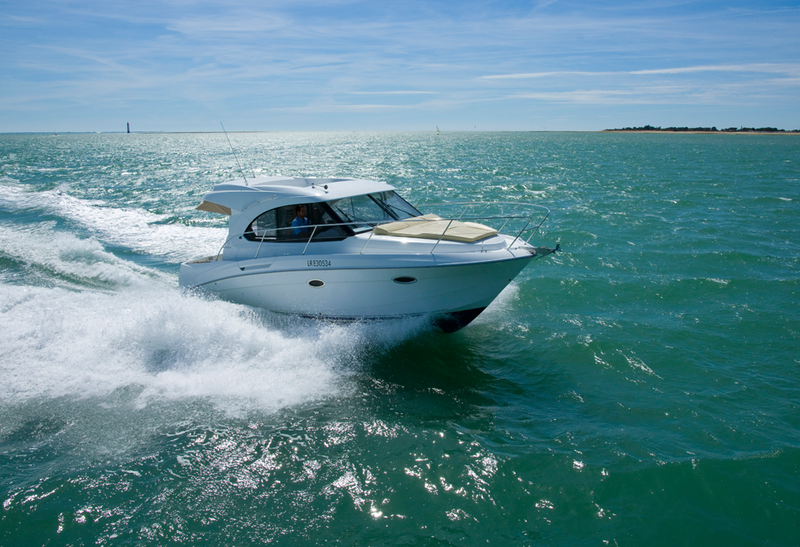 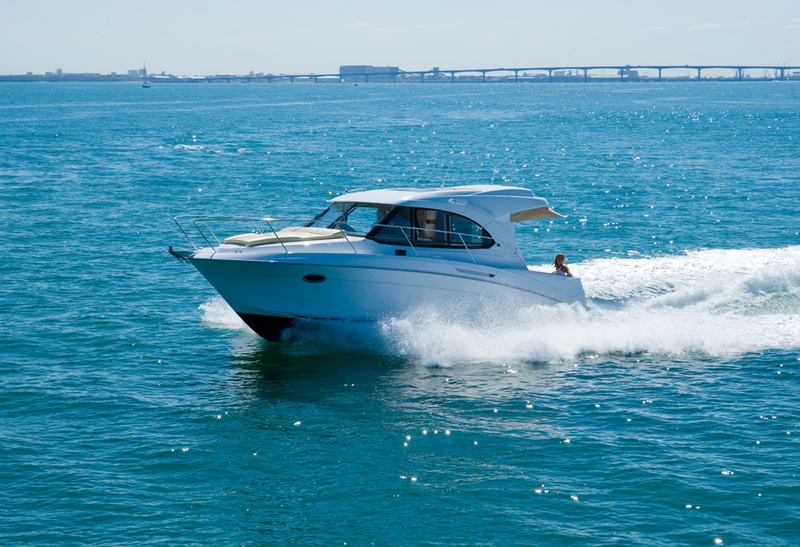 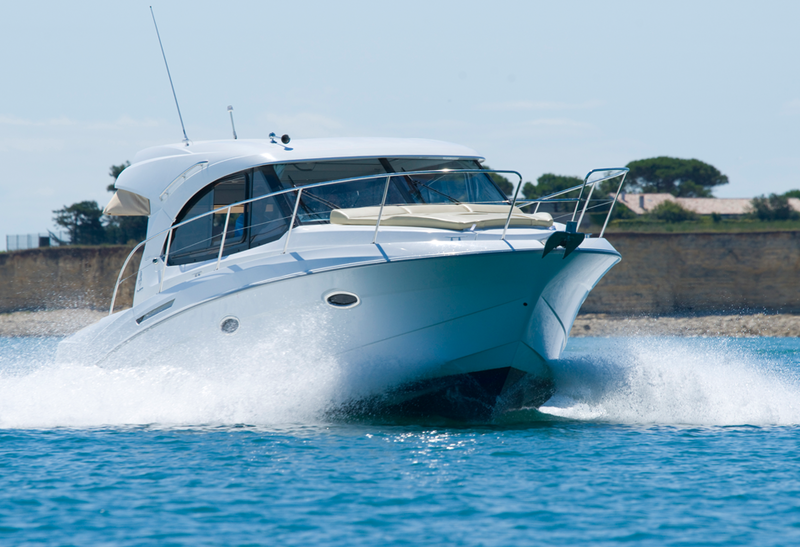 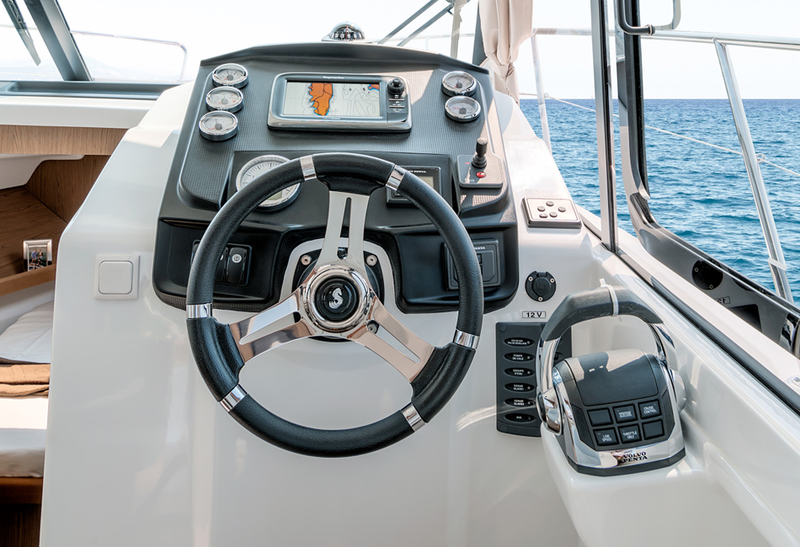 The Antares 30S is a timeless classic and can be adapted to various boating programmes. 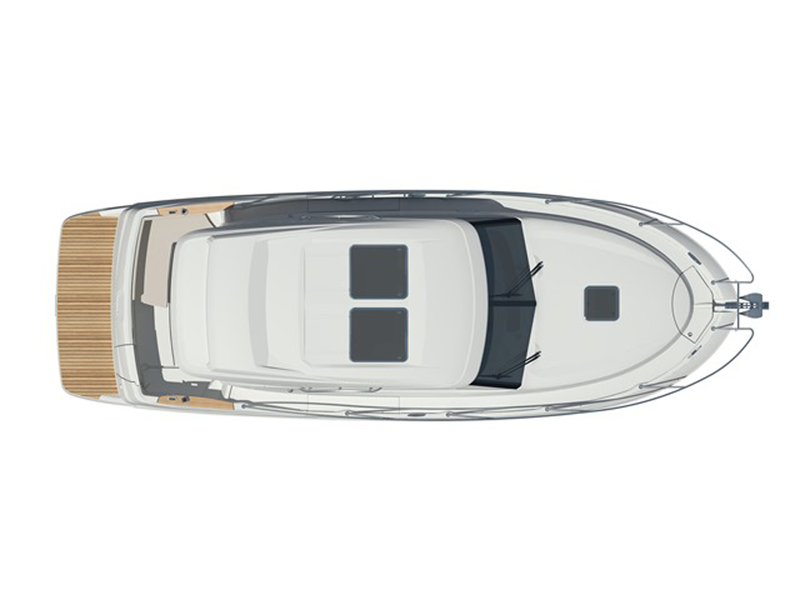 Just like others in her range, the hull is built for superior sea-keeping, ensuring the reliability of every ride. 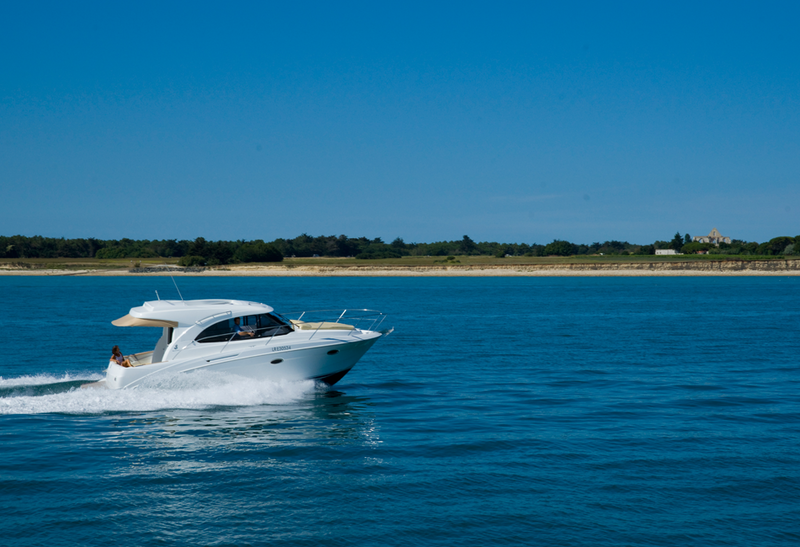 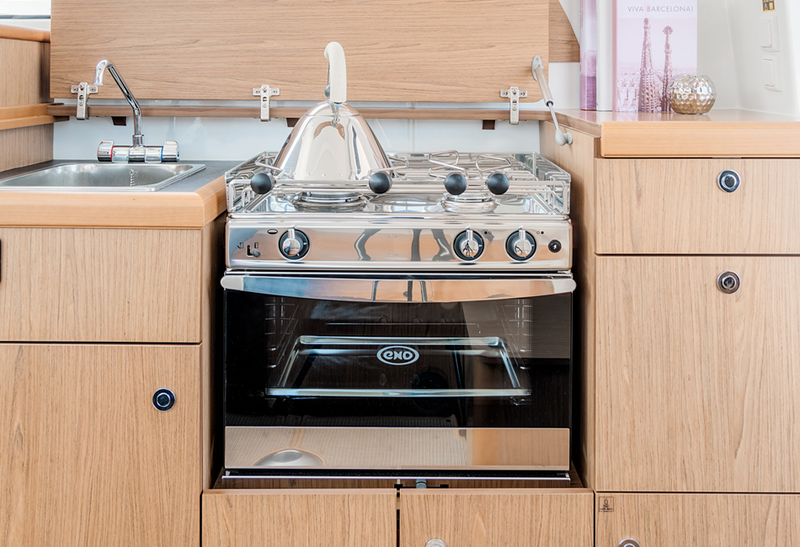 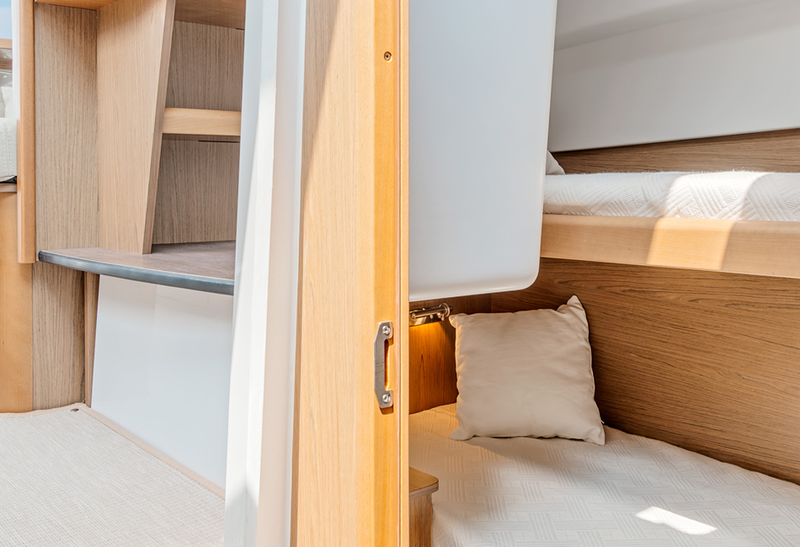 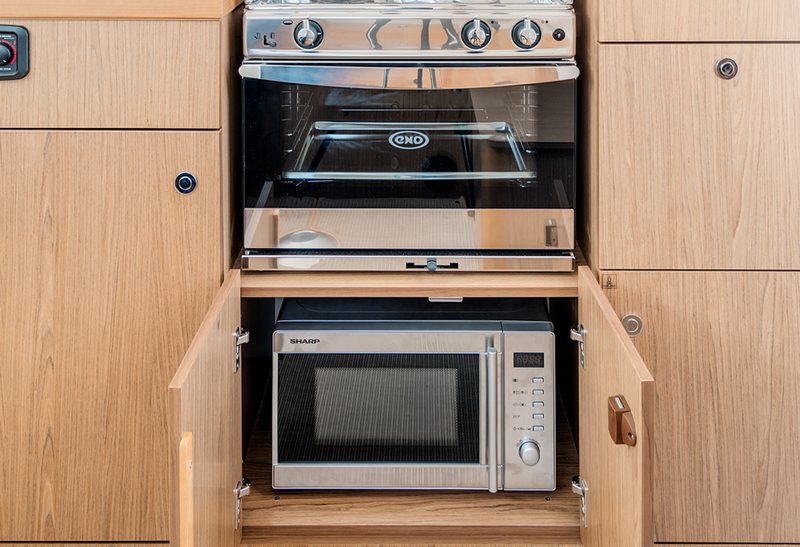 She has a vast amount of space on board – perfect for relaxing with family and friends. 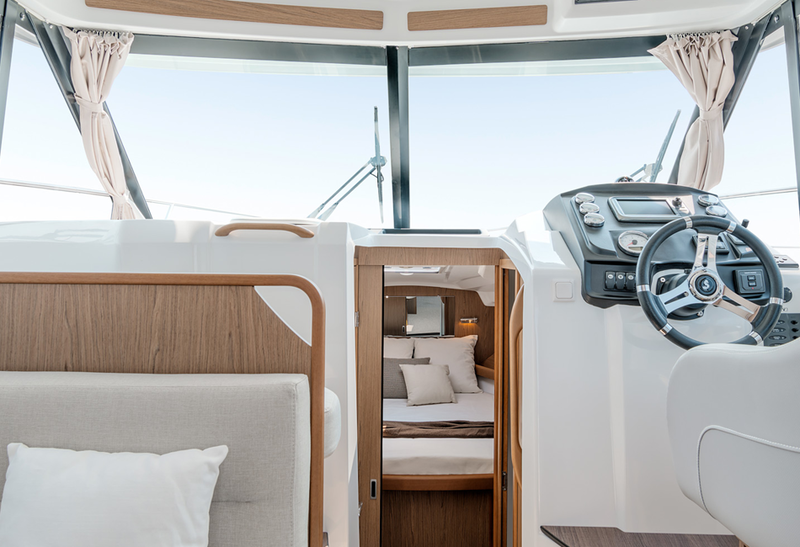 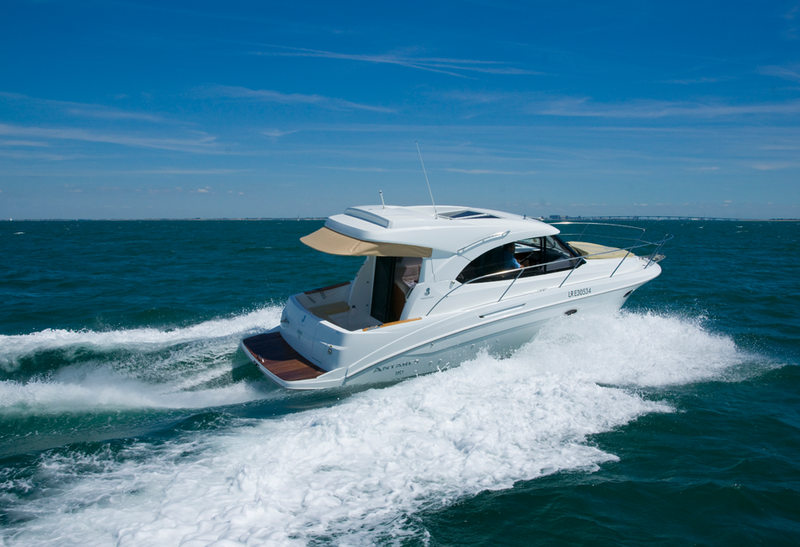 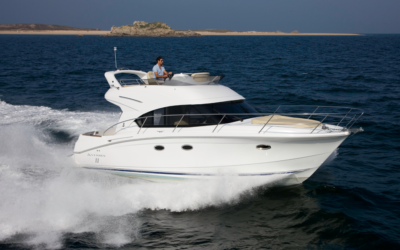 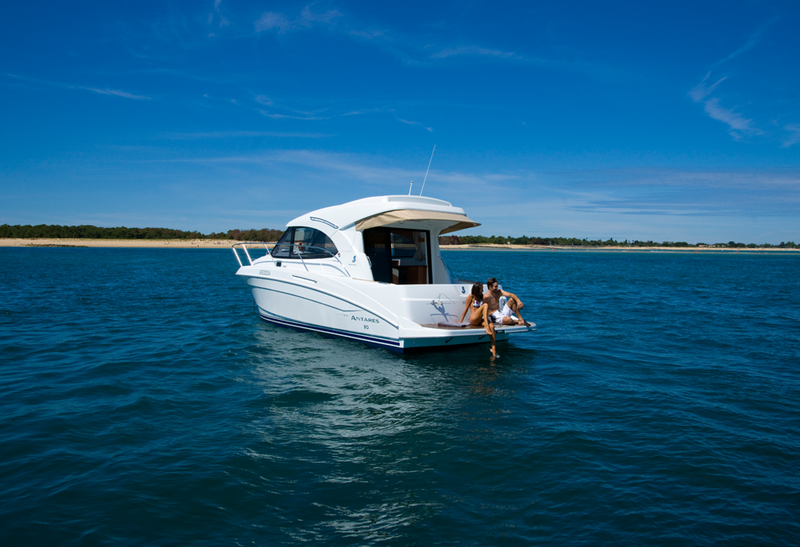 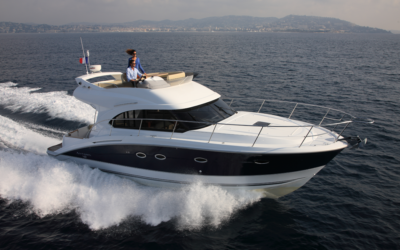 The Antares 30S comes in a non-flybridge Sedan version with a conventional hard top and two large glazed hatches. 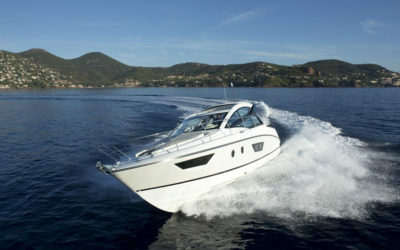 The sleek lines are classic and the latest version, with a grey-colored hull, is also available. 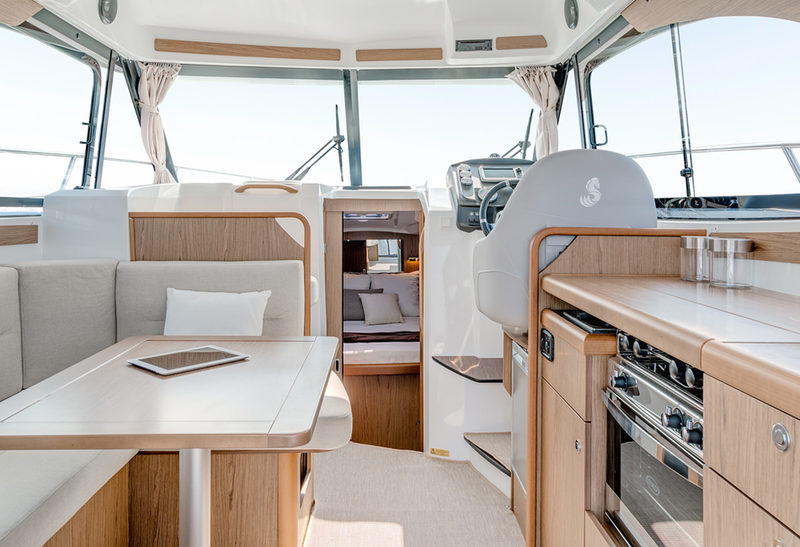 The Antares 30’s layout is focused on optimizing the vast living space. 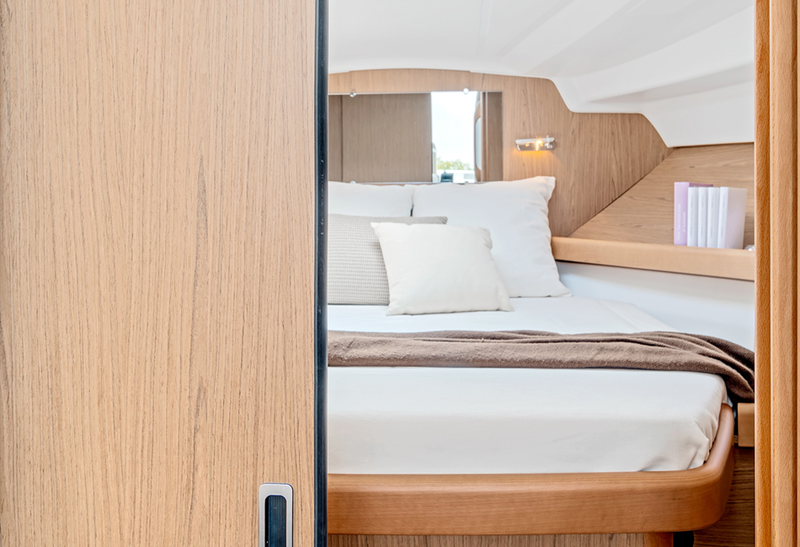 Walnut wood and a subdued sand-colored textile upholstery grace her interiors. 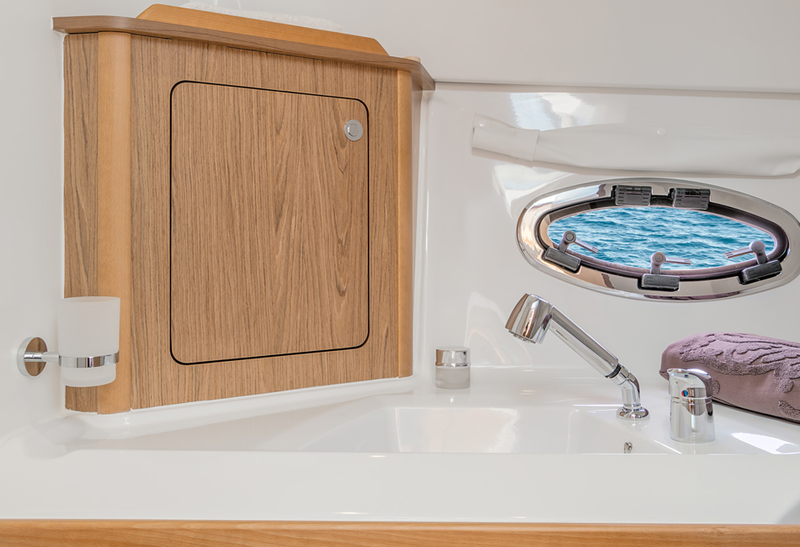 Other textile color choices are available for customization.